Music students, teachers and band leaders alike will sing the praises of these music chairs. 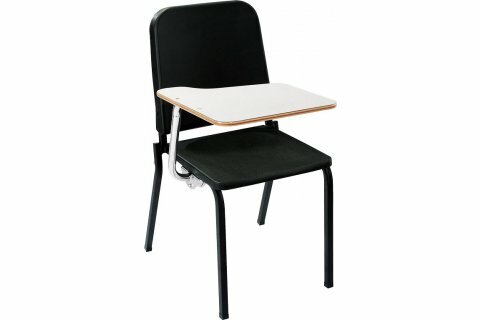 With National Public Seating's Melody Musician Chairs, students can focus on their instruments rather than worrying about breathing or back pain. A deep back comes within an inch of the seat to provide increased lumbar support. 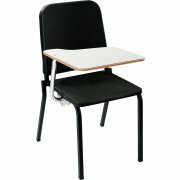 This ergonomic design and a 97-degree seat-to-back angle let students breathe easy, whether in practice or performance. Melody music chairs are incredibly durable. 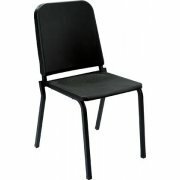 A tough 16-gauge square tubular frame is welded onto the polypropylene chair seat and back. Sturdy construction keeps these musician chairs in great shape through repeated set-up, transport, storage and even accidental dropping. With unbelievable durability and a healthy design, this chair helps musicians maximize playing time and improve their skills. Extra Back Support: Deeper back provides increased lumbar support in both reclining and upright positions. Built to Last: Strong frame built from 7/8"-square, 16-gauge tubing, with 14-gauge rear seat brace. Durable Surface: Sturdy polypropylene seat and back endure hours of practice and performance. Easy Breathing: 97-degree seat-to-back angle makes it easier for musicians to breathe. Scratch Resistant: Legs include four stack bumpers to minimize scratches.